The first time I read this story, I cried. I've saved it for years... as a reminder: Teaching should come from the heart, not from the textbook. Some people believe this is a true story; others say it's fiction. 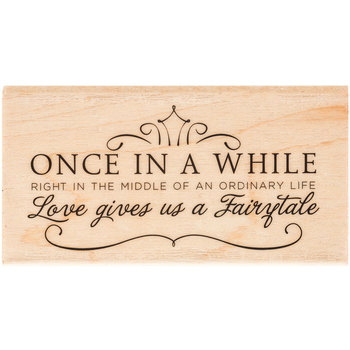 As a long-time believer that life is often like a Fairy Tale...I'll let you make up your own mind. "As she stood in front of her 5th grade class on the very first day of school, she told the children an untruth. Like most teachers, she looked at her students and said that she loved them all the same. However, that was impossible, because there in the front row, slumped in his seat, was a little boy named Teddy Stoddard. Mrs. Thompson had watched Teddy the year before and noticed that he did not play well with the other children, that his clothes were messy and that he constantly needed a bath. In addition, Teddy could be unpleasant. It got to the point where Mrs. Thompson would actually take delight in marking his papers with a broad red pen, making bold X's and then putting a big "F" at the top of his papers. Teddy's first grade teacher wrote, "Teddy is a bright child with a ready laugh. He does his work neatly and has good manners... he is a joy to be around." His second grade teacher wrote, "Teddy is an excellent student, well- liked by his classmates, but he is troubled because his mother has a terminal illness and life at home must be a struggle." His third grade teacher wrote, "His mother's death has been hard on him. He tries to do his best, but his father doesn't show much interest, and his home life will soon affect him if some steps aren't taken." By now, Mrs. Thompson realized the problem and she was ashamed of herself. She felt even worse when her students brought her Christmas presents, wrapped in beautiful ribbons and bright paper, except for Teddy's. His present was clumsily wrapped in the heavy, brown paper that he got from a grocery bag. Mrs. Thompson took pains to open it in the middle of the other presents. Some of the children started to laugh when she found a rhinestone bracelet with some of the stones missing, and a bottle that was one-quarter full of perfume. But she stifled the children's laughter when she exclaimed how pretty the bracelet was, putting it on, and dabbing some of the perfume on her wrist. Teddy Stoddard stayed after school that day just long enough to say, "Mrs. Thompson, today you smelled just like my Mom used to." After the children left, she cried for at least an hour. On that very day, she quit teaching reading, writing and arithmetic. Instead, she began to teach children. Mrs. Thompson paid particular attention to Teddy. As she worked with him, his mind seemed to come alive. The more she encouraged him, the faster he responded. By the end of the year, Teddy had become one of the smartest children in the class and, despite her lie that she would love all the children the same, Teddy became one of her "teacher's pets." They hugged each other, and Dr. Stoddard whispered in Mrs. Thompson's ear, "Thank you Mrs. Thompson for believing in me. Thank you so much for making me feel important and showing me that I could make a difference."